Turning to the ever-loved verse of John 3:16, this tract offers a timeless way into the hope of the Christmas period. Looking to share the real Christmas message? You may have seen it at football matches, held up as a banner in the crowd. You may have seen it as a poster outside a church or at a railway station. 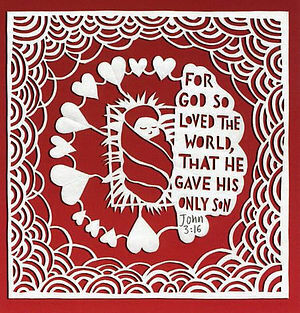 John 3 verse 16 is the most famous Bible verse in the world. Because in a few short, memorable words, it sums up the meaning of Christmas, Easter, the Christian faith and of life itself. For God So Loved Tract Pack of 25 by Tim Thornborough was published by The Good Book Company in October 2008 and is our 9014th best seller. The ISBN for For God So Loved Tract Pack of 25 is 9781906334468. Be the first to review For God So Loved Tract Pack of 25! Got a question? No problem! Just click here to ask us about For God So Loved Tract Pack of 25.